Grilled Peaches with Goat Cheese, Honey & Cinnamon! Preheat grill to medium-high heat. Halve the peach and remove pit. Sprinkle the tops of peach with stevia and grill for 15 minutes or until the peach has softened. Top with the goat cheese, drizzle with honey & sprinkle on some cinnamon! 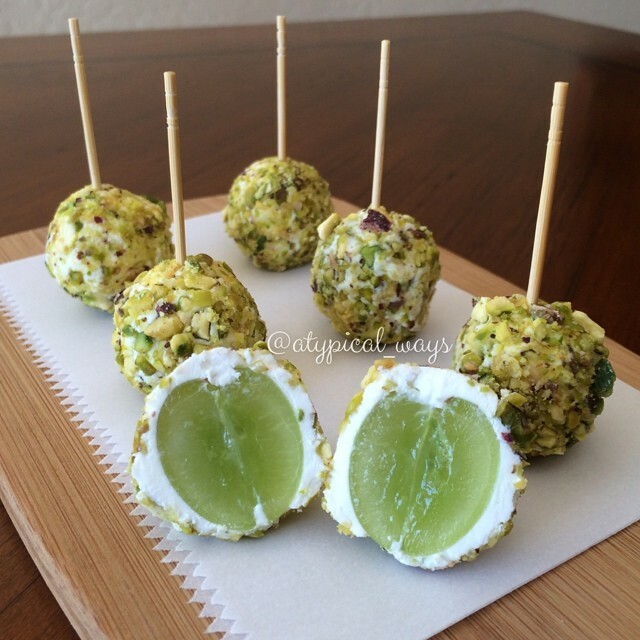 Goat cheese & Pistachio dipped Green Grapes! 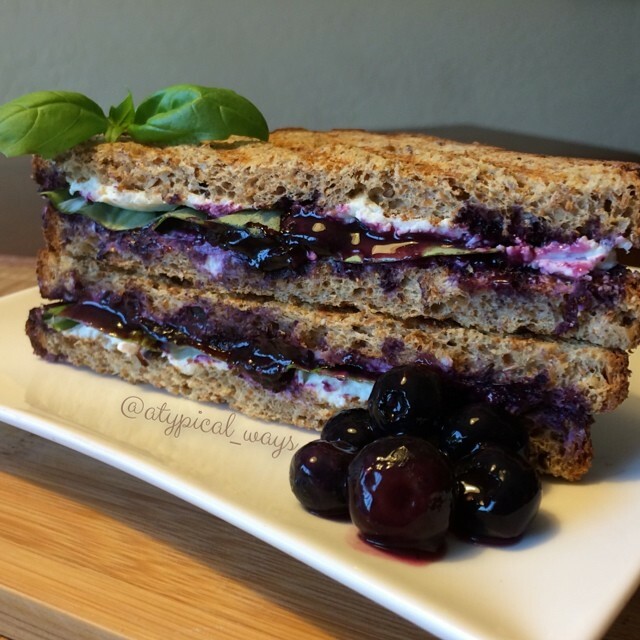 Blueberry, Basil & Goat Cheese Panini!